Remember the Smurfs? Well, they're back! This lovable little Smurf smiles as he conjures up a heart behind his back and stretches it happily in your direction to tell you, "I Smurf you my heart! Will you take it?" He'll be very happy if you do. 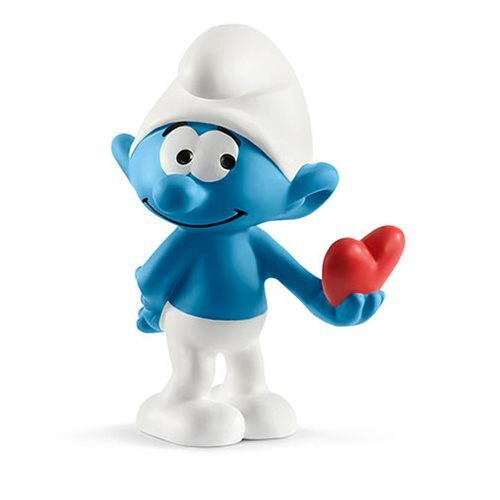 The adorable Smurfs Smurf with Heart Collectible Figure stands approximately 2 1/10-inches tall, so you can take him with you wherever you go! For even more fun, collect and play with all the finely detailed Schleich Smurfs Collectible Figures. They encourage children to play and learn at the same time! Each sold separately.